I am someone that can eat soup all year round. There are so many delicious varieties out there and I LOVE making it, there's no reason not to eat it all the time. However because it has been SO SO hot lately, I have put my soup love on hold. That is until this past weekend when Fall decided to peek it's head out just a little and it was a little cooler out. 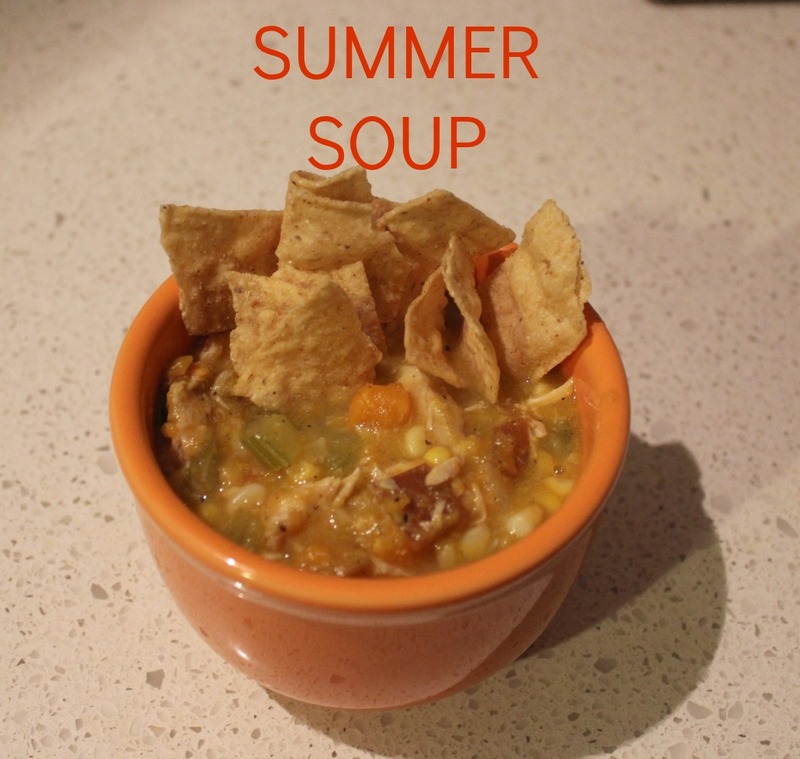 Once I saw that coming on the forecast, I knew this soup was going on our menu. 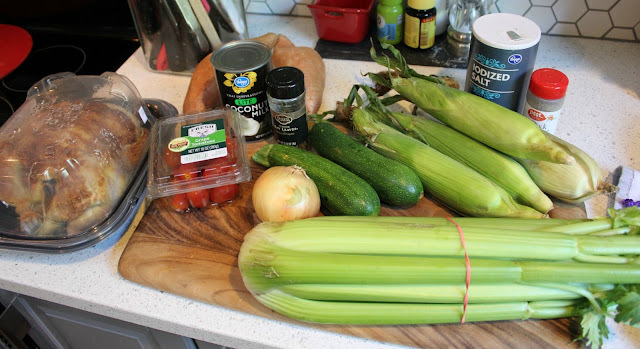 I pinned this soup quite a while ago and have been dying to try it. Let me just say, it did not disappoint. At all. I did make a few changes to the recipe but overall, followed it pretty closely. You guys know me, I always have to add my own little twist of my own. I am already planning when this can go on our menu again, it was quite the hit. And with most soups, it was even better the second day. 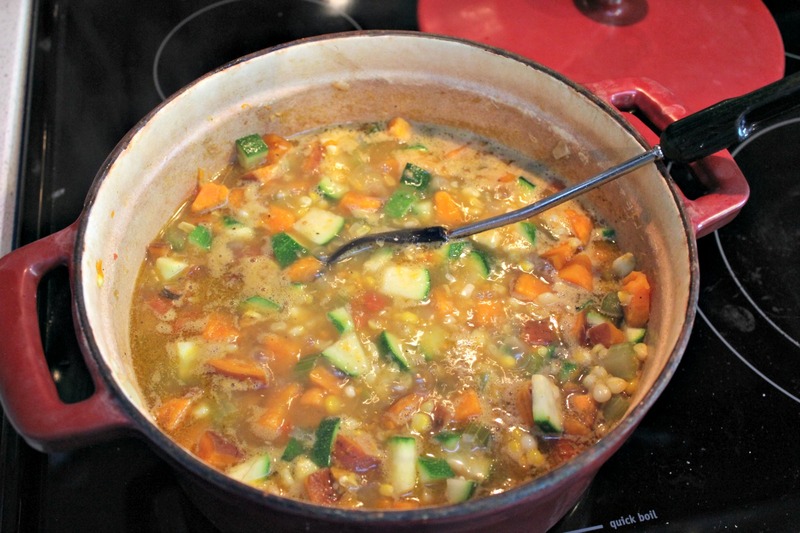 I loved how hearty, healthy and full of good for you veggies this soup had in it. Drooling! This sounds so good!! This recipe is really versatile — 2nd night I added eggplant, curry paste and coconut milk to the tomato base and it was even better.